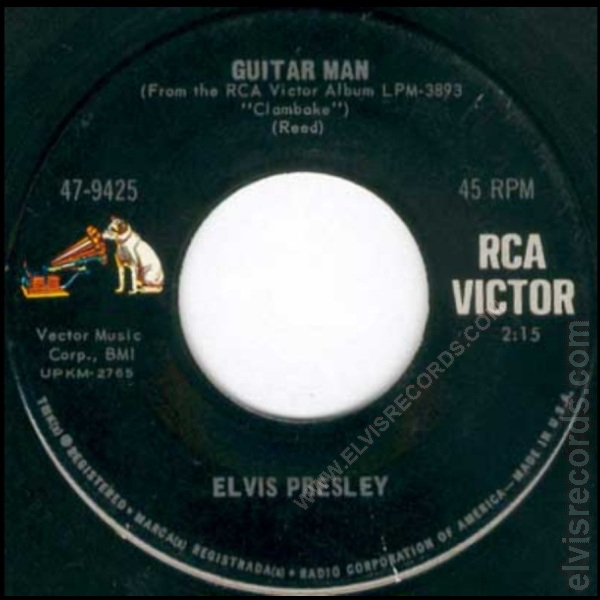 Disc: Yellow label, NOT FOR SALE.1 On the left, matrix numbers without parentheses above time. 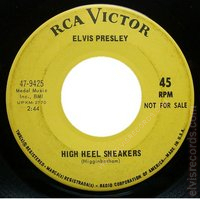 Disc: Yellow label, NOT FOR SALE. 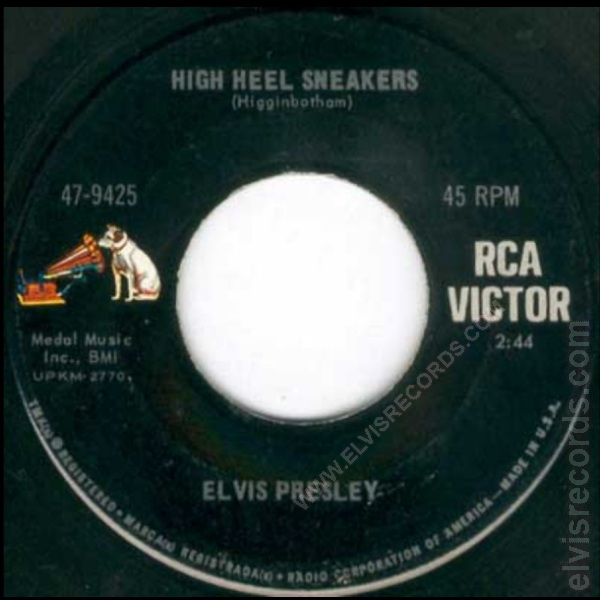 On the left, matrix numbers in parentheses below catalog number. 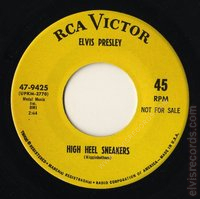 Compressed font. 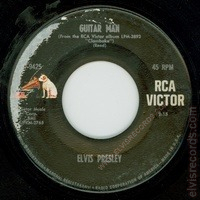 Disc: Black label, dog on side.5 On the left, matrix numbers without parentheses and on bottom. BMI on shared line. Disc: Black label, dog on side. Compressed font. 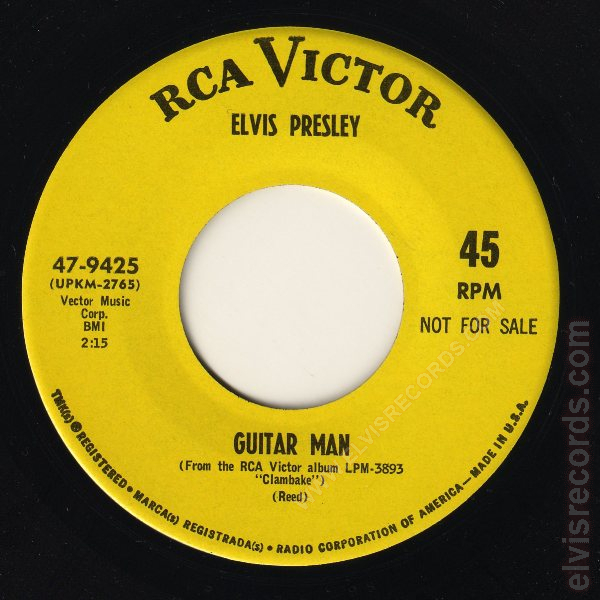 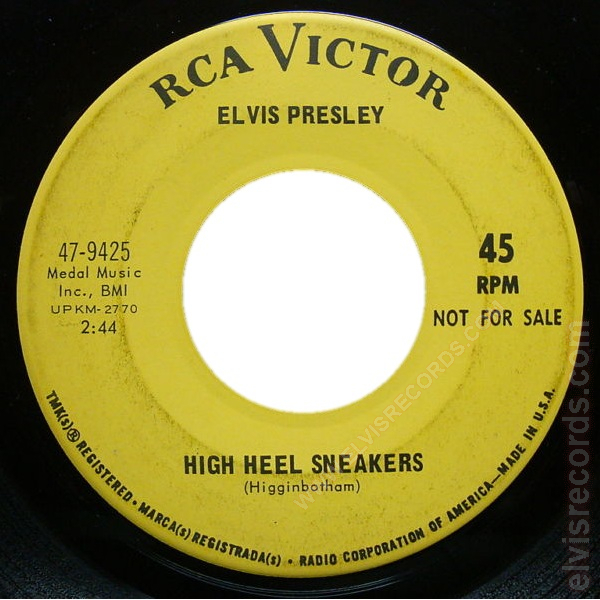 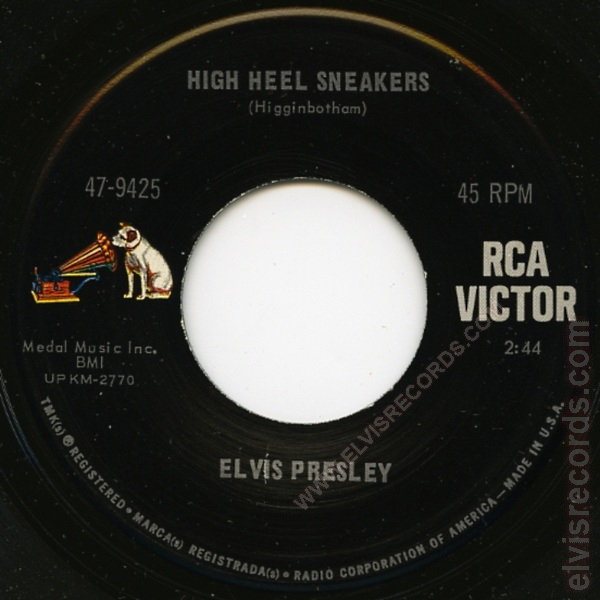 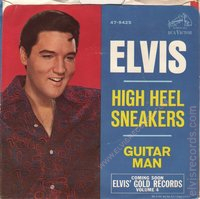 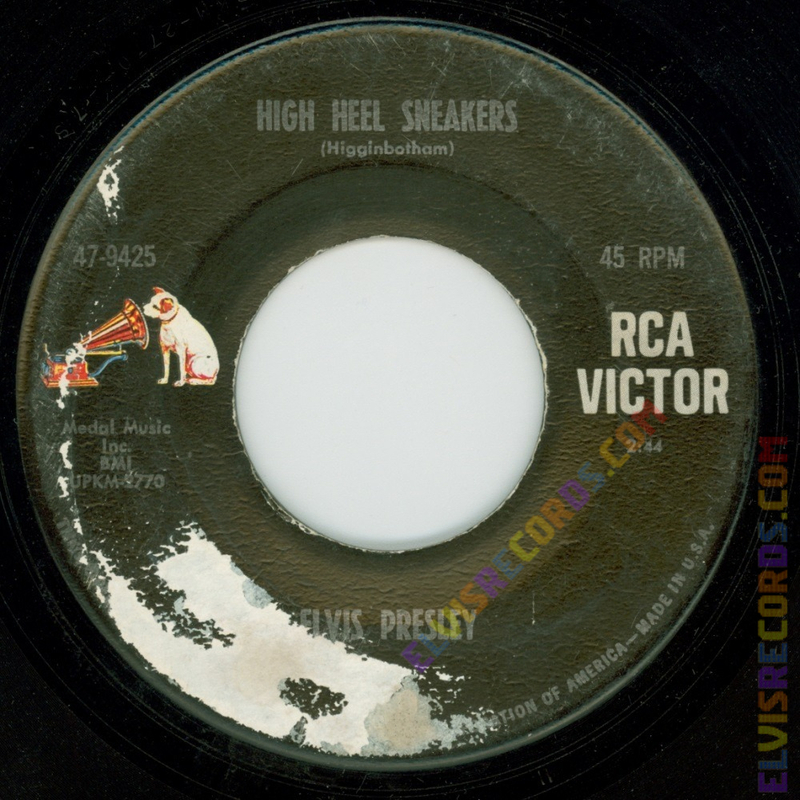 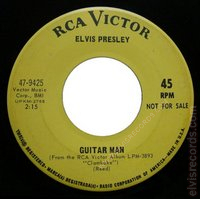 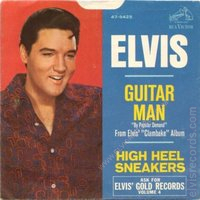 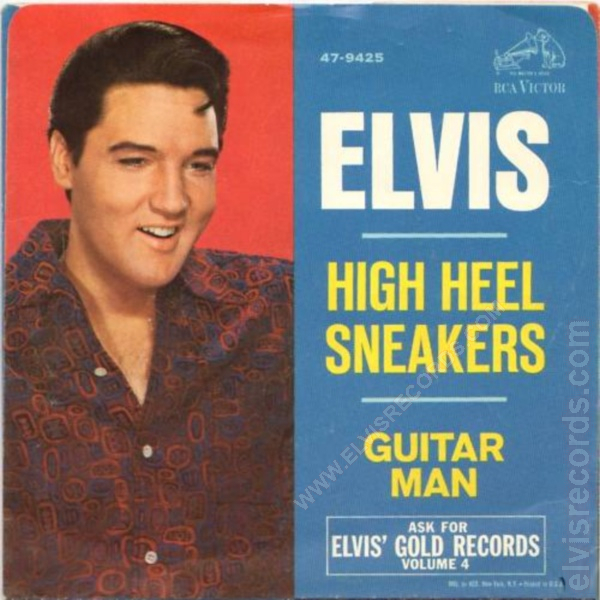 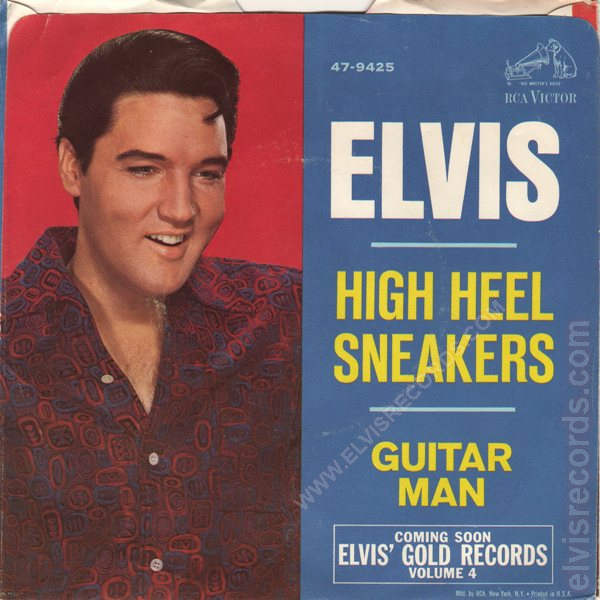 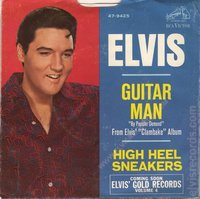 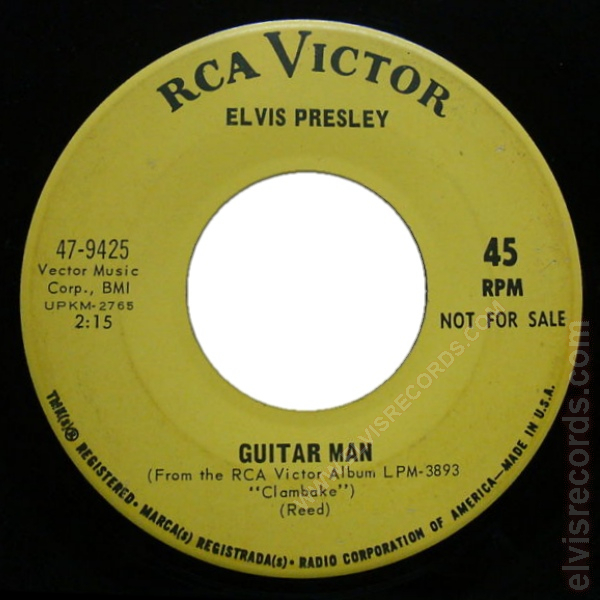 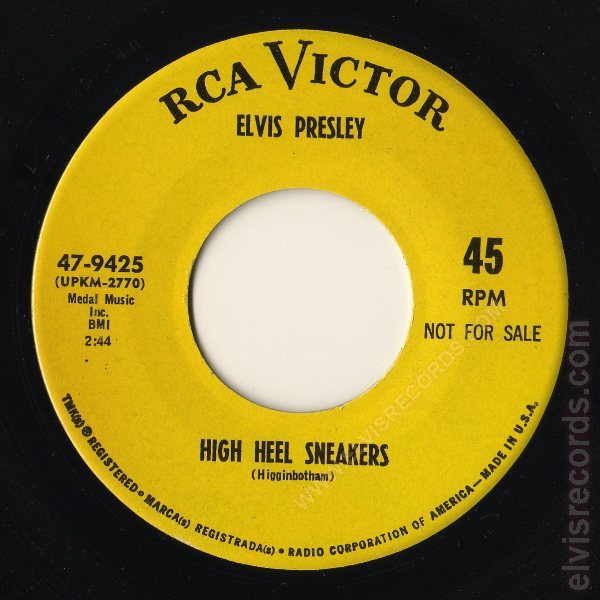 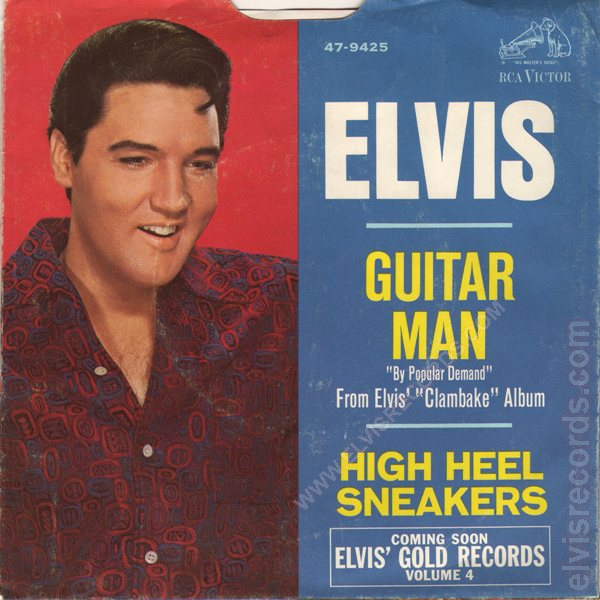 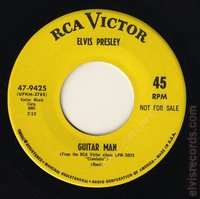 Re-released by RCA Records on 45 RPM as Guitar Man / Hi-Heel Sneakers on the Gold Standard Series label.